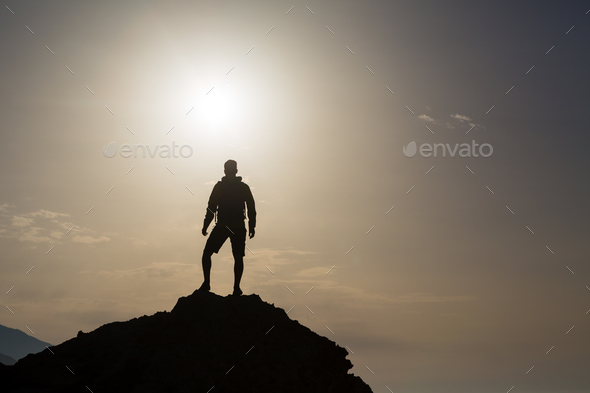 Man celebrating or praying in beautiful inspiring mountains sunrise. Hiker silhouette on mountain top hiking or climbing. Looking and enjoying inspirational sunshine landscape on rock, Crete Greece.